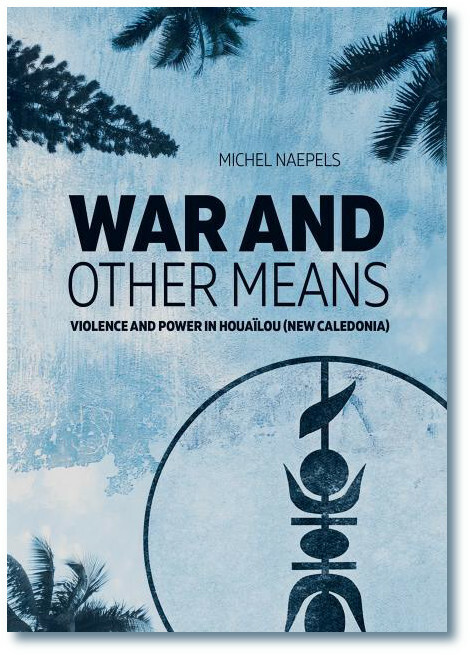 War and Other Means describes and analyses the practices of war, the ‘objects of war’ and the conventions of the use of violence in Houaïlou, New Caledonia. It focuses on the colonial repression conducted in 1856 and after, the anti-sorcerer hunt in 1955, the independence mobilisation in the 1980s and the village feuds in the 2000s. Through this archaeology of violence, it reports on the practical inventiveness, intelligence and cunning of the Kanaks involved in social, often violent, conflicts. The use of archival material and recourse to the oral stories gathered from the inhabitants of Houaïlou restores the depth of these historical moments and the nested contexts of the political action that unfolded; it also questions the value and limits of fieldwork investigation. These episodes are moments of change in the social, administrative, land and political organisation of New Caledonia; they make it possible to understand, from France’s takeover to the present day, the real modalities of implementation of colonial and postcolonial governmentality. The attention given to the invention, the importation or the adaptation of repressive techniques, closely linked to the French experience in Algeria, opens up a geopolitics of colonisation. Through this detailed description of the social logics of conflict, Michel Naepels also invites us to reflect on the place of European fantasies on violence and on the representations of otherness. Michel Naepels is Director of Studies (Full Professor) at the French School for Advanced Studies in the Social Sciences (EHESS), Director of Research (Senior Researcher) at the French National Center for Scientific Research (CNRS). He is developing a political anthropology of violence and its deferred effects, based on fieldwork in New Caledonia and Katanga, in the Democratic Republic of the Congo.